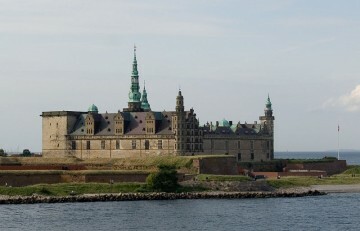 Tourists are encouraged to visit Castle Kronborg, known as Hamlet’s Castle, but the advertisers are not quite sure why “Shakespeare” chose Elsinore (as opposed to Copenhagen) as the setting for his great play about the Royal Court of Denmark. 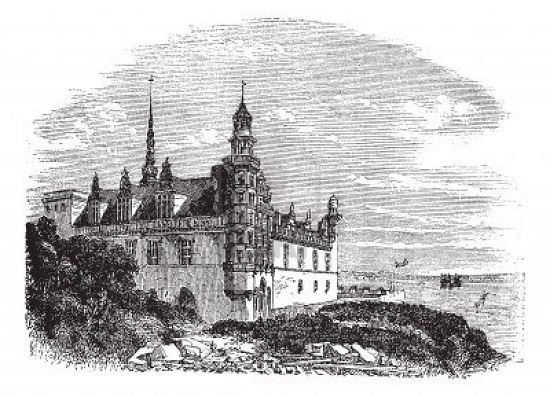 Given the Stratfordian view, which dates the play’s composition circa 1600, they point to the Elsinore castle’s historical prominence because of its strategic location at Sound Oresund (three miles across from Sweden). Whenever the tourism promoters decide that Hamlet was actually written by Edward de Vere, Earl of Oxford, however, they will find a far more obvious and logical reason. 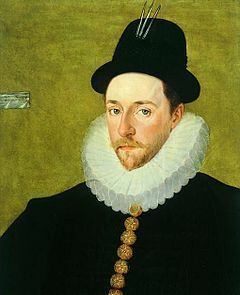 In the summer of 1582, Queen Elizabeth sent Oxford’s brother-in-law Peregrine Bertie, Lord Willoughby de Eresby, on a special mission to the Royal Court at Castle Kronborg in Elsinore. Under the rule of King Frederick II, Denmark had become one of the great powers on the Continent and claimed the right to levy dues on all foreign merchant ships passing through its sea lanes. Willoughby’s task was to invest Frederick as a Knight of the Garter while trying to persuade him that English ships trading with Russia should be free of molestation as they sailed through. Peregrine Bertie, Lord Willoughby was married to Oxford’s sister Mary Vere. At dinner Edward de Vere’s brother-in-law would have regaled them and other family members and friends with hilarious tales of King Frederick at the Court of Denmark in the castle at Elsinore. And that would be just one reason why many Oxfordians have concluded that Edward de Vere wrote the first version of Hamlet, Prince of Denmark in 1583 or 1584, nearly two decades before the traditional dating of that great play, which he would have revised right up until his reported death on June 24, 1604. It would also be another of these 100 reasons to conclude that Oxford was the great author who, in 1593, began to use the pen name William Shakespeare.